The South Sound's top choice for custom, affordable countertops and more . 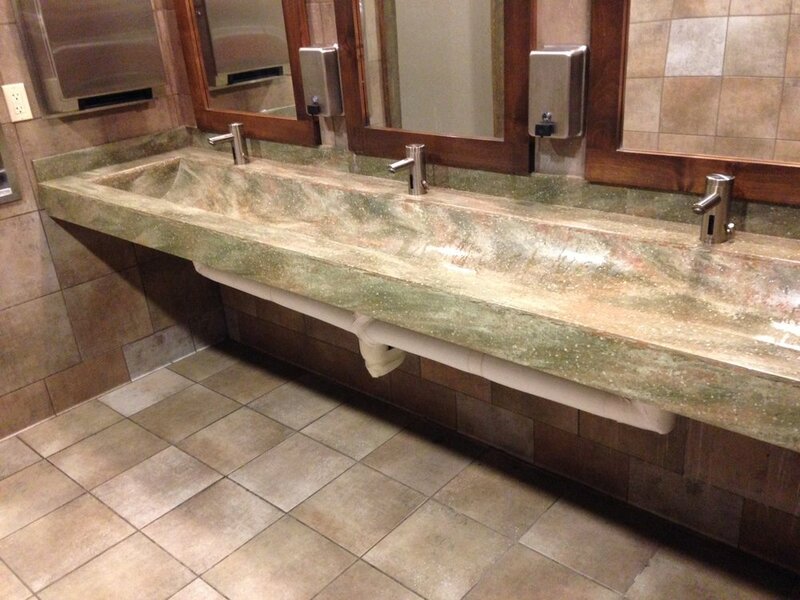 Tops creates high-quality, custom commercial countertops on-time and on-budget. 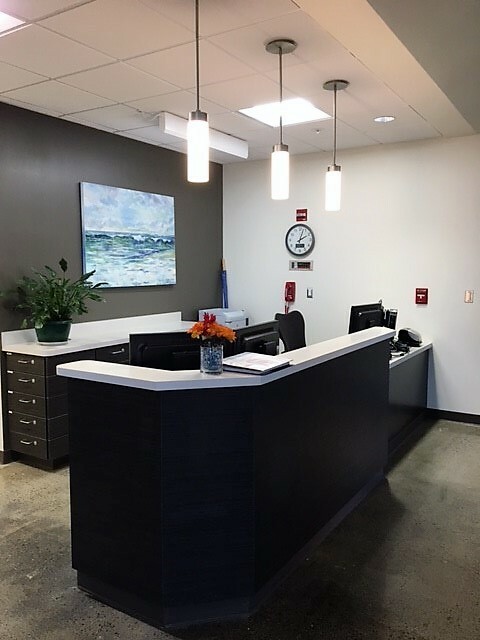 We work with our contractors to create improved environments in apartment complexes, inclusionary housing neighborhoods and facilities, retail enviornments, schools, hospital and medical facilities, government and public housing projects, bar and restaurant spaces, commercial kitchens and more. 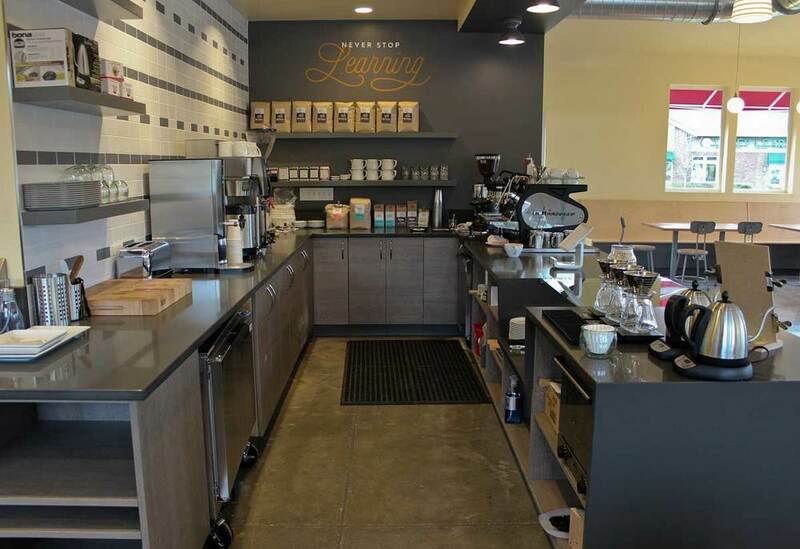 Proud to provide beautiful work in our Olympia community, Tops Solid Surface created the interior surfaces for a coffee shop in Lacey, Washington. Needless to say, it's one of our favorite places to stop in and enjoy a cup! When Red Robin wanted to renovate a portion of their gourmet burger restaurant with a bar space, Tops Solid Surface was happy to make it a reality. Working at night, we accommodated their schedule to keep their operation up and running during installation of beautiful Avonite Solid Surface countertops and bar tops in “Goldmine”. 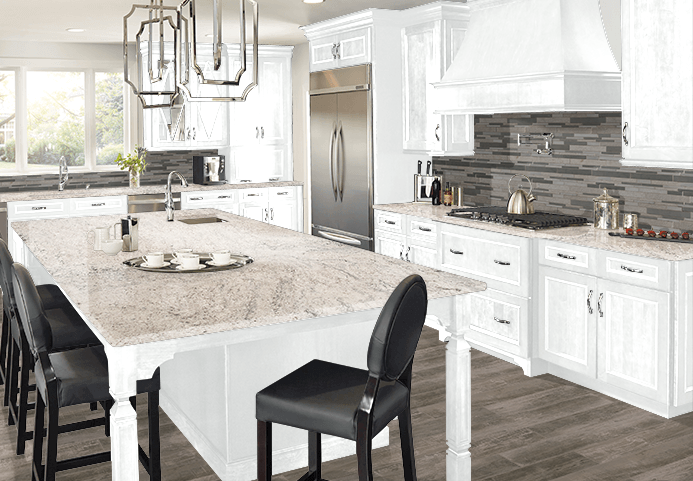 Tops Solid Surface is your top choice for custom, affordable kitchen, bath and home remodeling in Olympia and the South Sound. Welcome to Tops Solid Surface! We've added a virtual Online Kitchen Design tool to our website! Start planning your dream kitchen remodel now! Stop by our Design Center and see all Tops has to offer! WHAT DO TOPS SOLID SURFACE CUSTOMERS SAY?